El Encanto de La Laguna is a private beachfront community bordering the Fundadores section of Puerto Los Cabos, located minutes from the new Puerto Los Cabos Marina and downtown San Jose del Cabo. El Encanto de La Laguna is in an ideal location for those who want a quiet community on a secluded beach with only a short drive to fine dining, the airport and entertainment. El Encanto de La Laguna is renown for its astonishing design and beautiful views. All homes are crafted using the highest quality materials applicable to Mexican hacienda style architecture. 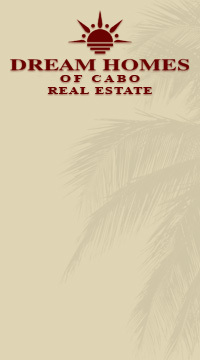 The community consists of private home sites and condominiums. El Encanto de La Laguna boasts a long list of amenities catering to our homeowners needs, such as the use of concierge services, a gym, a spa, tennis, a restaurant, beach club services, a business center, 24-hour security and onsite maintenance. Homeowners at El Encanto de La Laguna have their choice of five different models with four or five bedrooms, all designed to capture the breathtaking views of the Sea of Cortez and Palmilla Point. Home prices start at $1,475,000 usd and come standard with luxury finishes throughout, a private infinity pool and Jacuzzi, an outdoor cooking center, a fire-pit, a swim-up palapa bar and lush landscaping. The condos are finished with the same quality as the private homes and have sweeping views of the Sea of Cortez. El Encanto offers a two- and three-bedroom option ranging from 2,050 to approximately 3,000 square feet of living area. Condo prices start at $695,000 usd. Phase II Condos "Villas" in the Las Olas building are going up fast with the completion date for delivering the new "Villas" in the Las Olas building is November 2012. These stunning condos come completely built out with garages and a stunning infinity pool. Right now is the perfect time for you to choose your finishing touches. The Villas in phase II have very open and spacious floor plans with beautiful finishes throughout, stunning panoramic ocean views and built with energy efficient innovative construction. Prices range from the low 600's to the high 900's. Call 800-403-6597 and speak to one of our professional sales agents to learn about this beautiful beachfront community!